ROME (CNN) – Italian authorities launched a “vast anti-terrorism operation” Friday, going after suspects associated with al Qaeda who allegedly had discussed a range of targets, including the Vatican. Wiretaps and other intelligence revealed that the group — some of whom had direct contact with Osama bin Laden‘s network — planned to carry out terrorist attacks in Afghanistan and Pakistan as well as in Italy, according to Caligari Chief Prosecutor Mauro Mura. 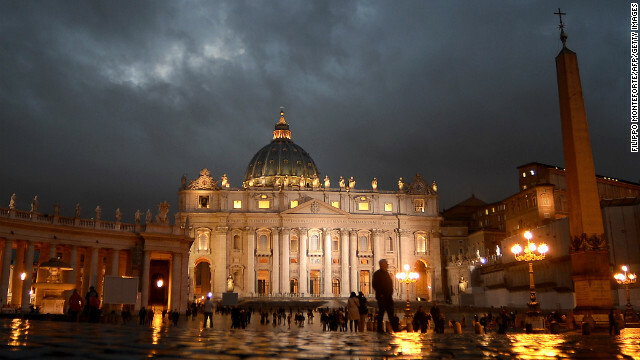 Evidence indicated the Vatican was among the targets considered, police said. Talk of this took place March 2010, around the time a possible suicide bomber from Afghanistan entered Italy before leaving the European nation, Mura said. A prospective attack may have been foiled by a spring 2010 search of one of the alleged al Qaeda affiliates’ homes, Italy’s ANSA news agency reported, citing police in Caligari. When asked about this report, Vatican spokesman Federico Lombardi said “it seems that we are talking about a hypothesis of the year 2010 that didn’t come to fruition. Two of the arrested suspects gave logistical support to the network that guarded bin Laden before his death in Pakistan in 2011, according to police. Police said, too, that some of the suspects were involved in a 2009 Pakistani market bombing in which more than 100 people were killed. The suspects targeted Friday had been under surveillance for years, some as far back as 2005, police said.